In 2005 Kaye & I were fortunate to be able to acquire Nindooinbah from Tim Stevens who inherited this wonderful property in two parts. In the first instance from the Estate of his uncle Patrick Hockey and then from estate of the Margaret Hockey. The property covers 2500 acres of freehold and 500 acres of land leased from the state government. The leasehold land was acquired by the government in the late 1990’s as part of the land acquisition program for the proposed Glendower Dam. 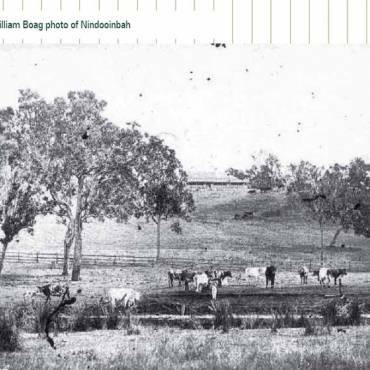 The Nindooinbah homestead, it’s garden and outbuildings are heritage listed. The homestead and it’s surrounds were in a very dilapidated condition and required significant restoration as did the properties’ rural operations. We employed Nick Cameron to manage the rural renovation and rejuvenation and to develop a 5 year plan for the property with us. We are in the process of documenting this challenging program and will be putting up a link when this is complete. With the homestead and its surrounds, one of the first things we did was to engage a group of Heritage consultants to assist us in compiling a conservation plan for the homestead. The consultant team we engaged are vastly experienced and have been involved in the sympathetic restoration of many of Queensland’s most significant properties. We would like to thank and acknowledge the contributions of the following people in drafting our Conservation Report. Helen Gregory and Richard Allam. Robert, Helen and Richard are ex Chairpersons of the Queensland Heritage Council. 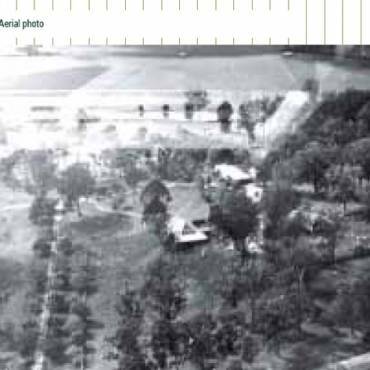 The Late John Mulholland…Nindooinbah Gardens assessment and rejuvenation. Nicola Stairmand …Assessment of the wallpapers, floor coverings & window furnishings. Noel Robinson and Andrew Williams… of NRA architects. The approval process was long and drawn out. For example it took over 18 months to gain approval to remove some wall paper from the sitting room. The restoration work was undertaken by local builder Rod Anderson of Rod Anderson Constructions. Rod has received a number of awards for the quality and integrity of his teams work. The predominance of the trades were from the surrounding area and many of the age old skills that are rapidly disappearing from the building industry were applied with great concentration and skill. This whole exercise took more than 5 years and at one Christmas party we had more than 100 people to celebrate the festive season. 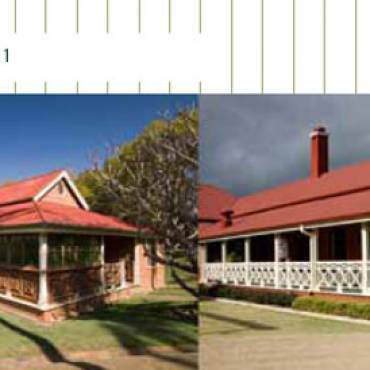 In 2012 our architect Noel Robinson nominated Nindooinbah for a Heritage Award. Here is a link to the award document if you are interested in the history of this wonderful property or use the menu on the side for further detailed information.